Get on board, and get ready for a fun-filled ride with Thomas & Friends! This hardcover book includes a removable projector that can project 16 colorful images onto the wall as children read. 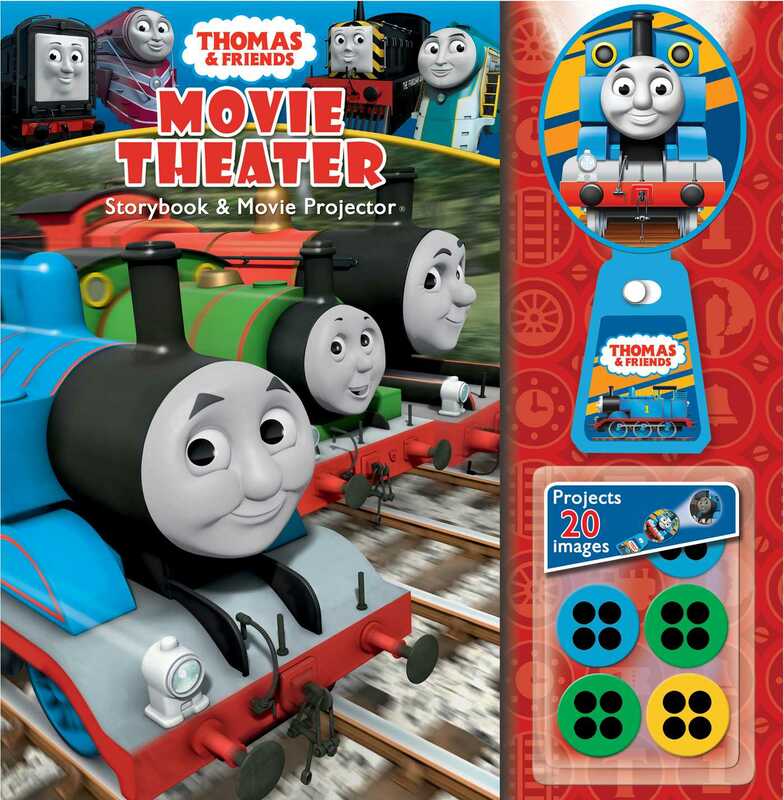 Thomas the Tank Engine™ stories have been delighting young children for decades, and now everyone's favorite #1 blue engine is starring in a brand-new Thomas & Friends: Movie Theater Storybook & Movie Projector. Based on the classic adventures, Thomas and his friends Edward, Toby, Percy, Rosie, and the other Really Useful Engines are featured in fun-filled stories, as well as on four picture disks that come with the book.